Monica Tegeler Bard has been employed with Duckett, Bouligny & Collins, L.L.P. since 1997. During that time, she handled a variety of legal matters in the areas of probate, guardianship, and elder law matters. As a member of the litigation team, she handled pre-trial issues, litigation research and trial support, and appellate matters. Now, utilizing her legal and accounting background, she serves primarily as the Administrator of the law firm, handling management, human resources, and accounting matters for the firm. Monica and her husband, Gary, an ECHS graduate, have made El Campo their home since 1988. Their daughter, Meredith, was born and raised in El Campo and graduated as Salutatorian of the 2009 El Campo High School class. 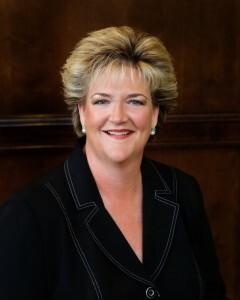 Monica is a member of the Wharton County Bar Association, the State Bar of Texas, and the First Presbyterian Church of El Campo where she served as an elder. She participates in various community service activities through her involvement with her church, the Crossroads Emmaus community, and Delta Gamma sorority. Since its creation by the City of El Campo in 2005, she has been a member of the El Campo Aquatic Center Board, serving as Vice-Chairman. She served on the Board of the El Campo Red Wave summer swim league for many years, including six years as President and Treasurer.